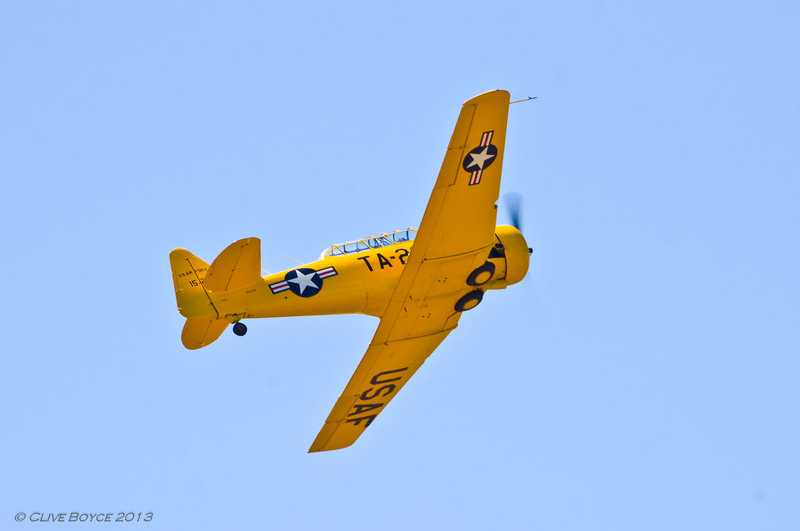 Next up, some shots of T-6 Harvards. 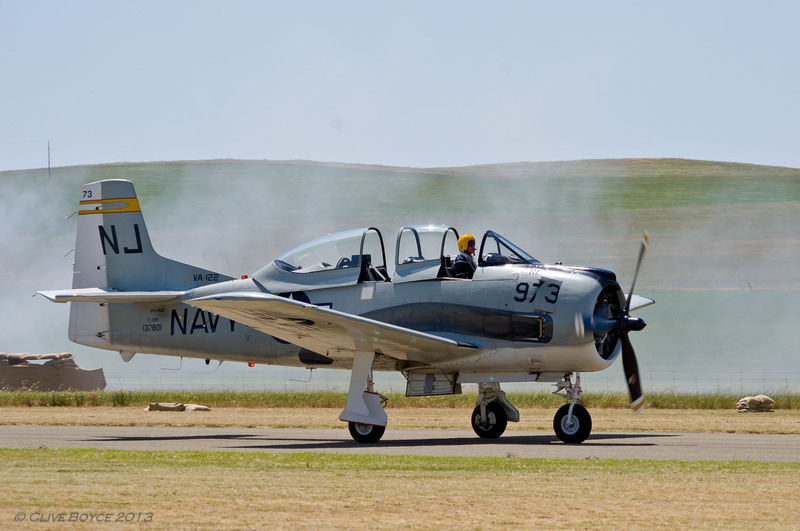 The aircraft was known as the T-6 to the US Army Airforce, the SNJ to the US Navy and the Harvard to the British, but all were essentially the same plane. They were used as advanced trainers prior to pilots graduating to combat aircraft. Production ran from 1939 to 1954 and over 17,000 were built. Post war, the T-6 was often used to represent other aircraft types in war films, most notably being modified to stand in as the Mitsubishi Zeros in “Tora! Tora! Tora!”. 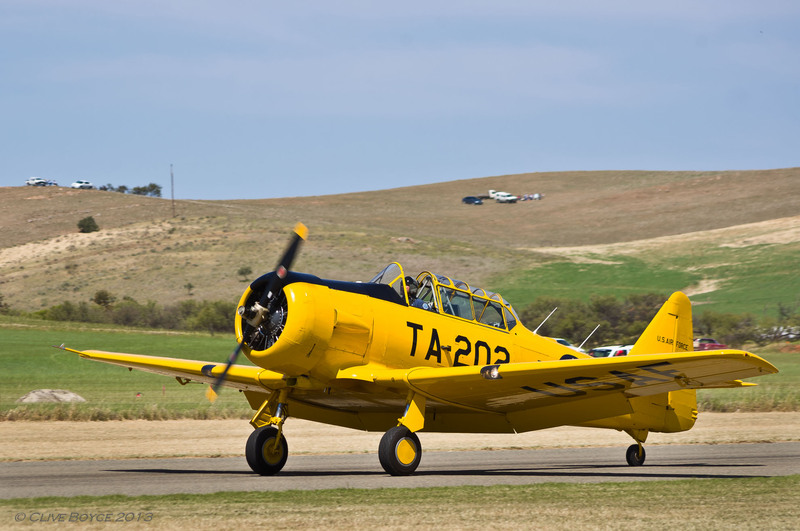 T-6 Harvard taxiing onto the start of the runway, with its successor aircraft, the T-28 Trojan, following. T-6 Harvard commencing its acceleration down the runway. 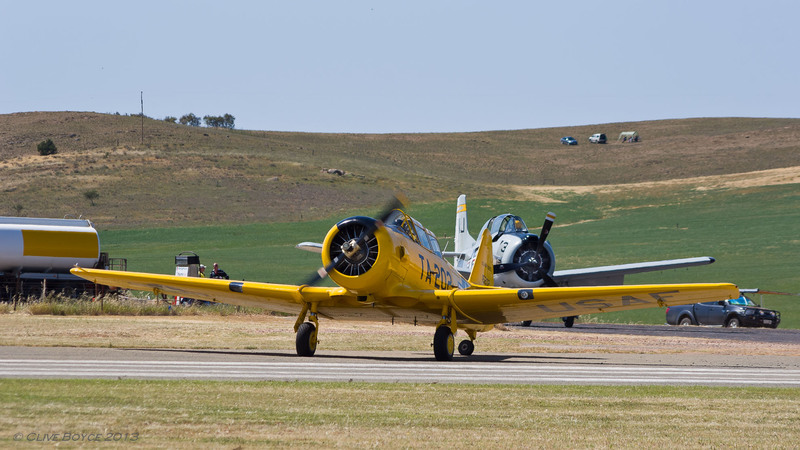 T-6 Harvard airborne and banking left. And staying with training aircraft, the T-6 was succeeded in the post WWII era by the T-28 Trojan. 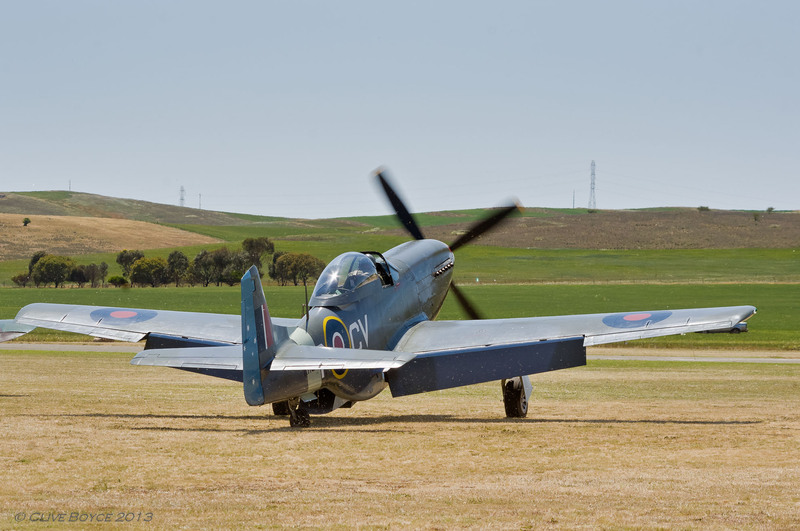 Powered by a radial 9 cylinder 30 litre Wright of 1425hp output, the Trojan has a distinct gravelly growl that stood out from all other aircraft present on the day. 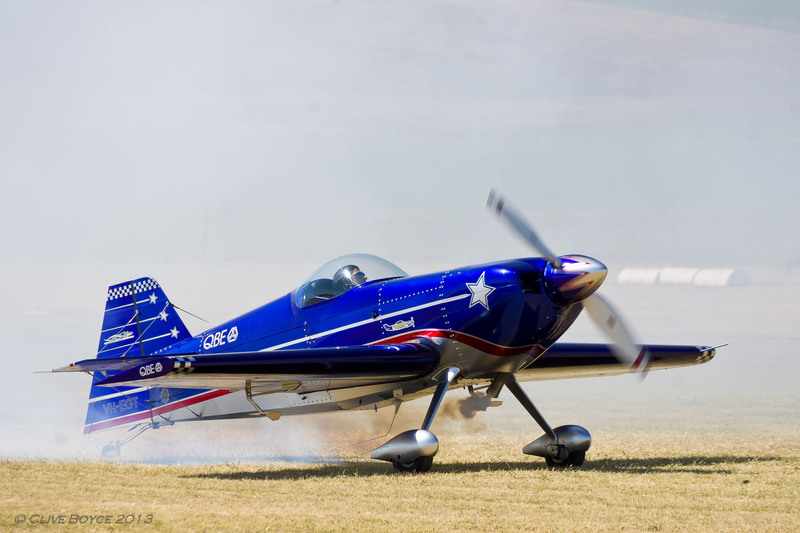 Compared to the T-6, the Trojan has moved to tricycle undercarriage to emulate the takeoff and landing characteristics of early jet fighters such as the Sabre. T-28 Trojan about to roll. 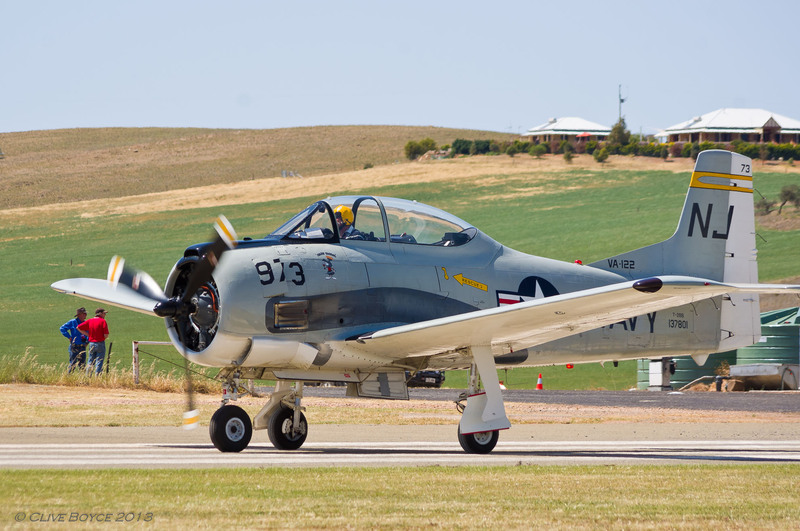 T-28 Trojan taxiing back to its parking area after its display. A few WWII era fighters now. CA-18 warming up before its display. 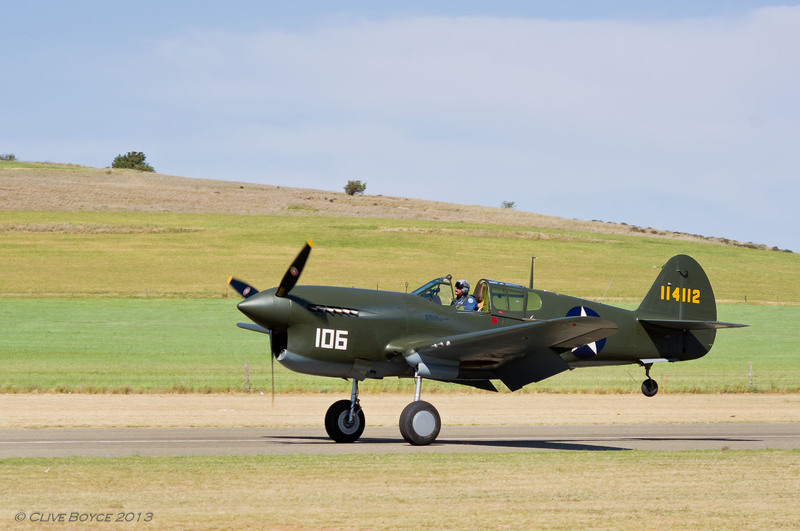 The CA-18 is an Australian-built variant of the P-51 Mustang. 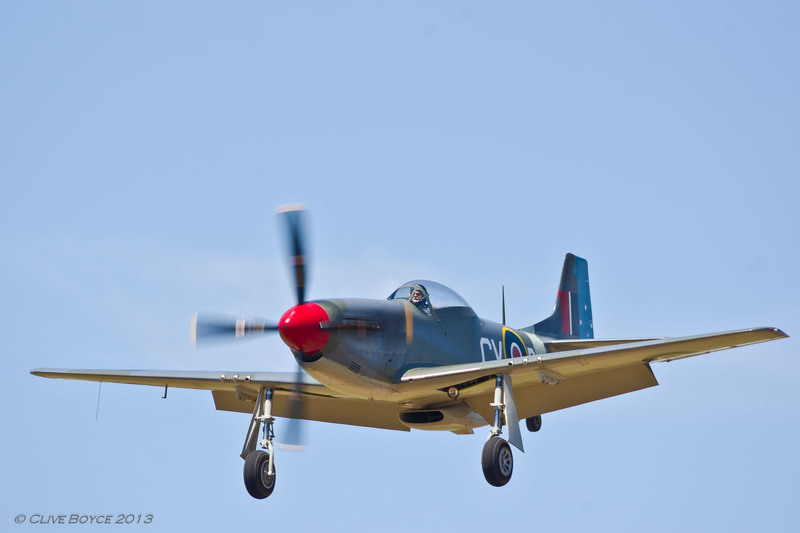 Powered by the Merlin V12 engine made famous in the Spitfire, the CA-18 had a beautiful engine note. CA-18 on final approach after completing one of its display circuits. A landing P-40N Kitty Hawk about to drop down on its tail wheel. 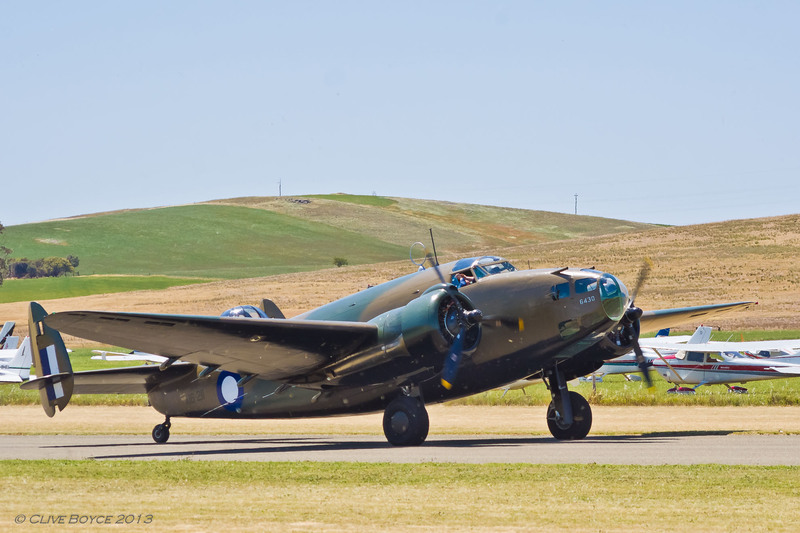 This aircraft has been completely re-built over the past five years, and was originally flown by the NZ Airforce. Powered by an Allison V12 28 litre motor. P-40F Warhawk. The US knew the P-40 as the Warhawk. This is a later version of the type with a Packard-Merlin engine (the US built version of the Rolls Royce Merlin engine). 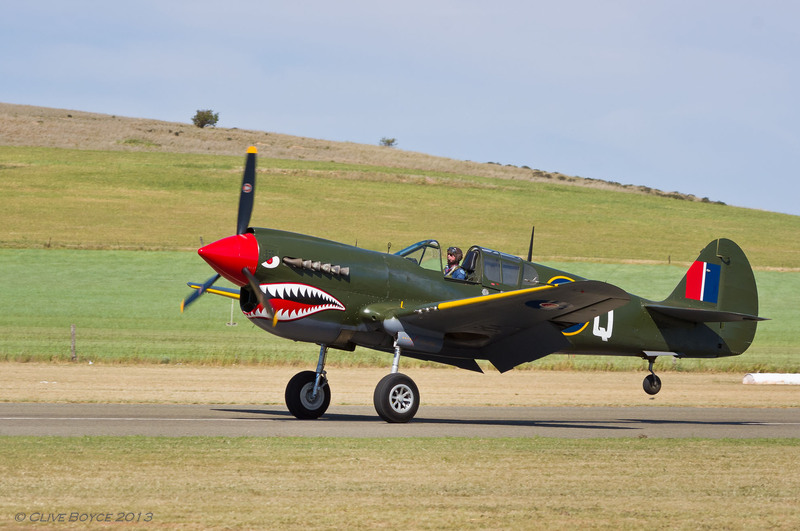 It is the only P-40 in the world flying with this engine. Turning momentarily back to the between war years, we have a stunning Lockheed L-12 Electra, finished in polished aluminium. 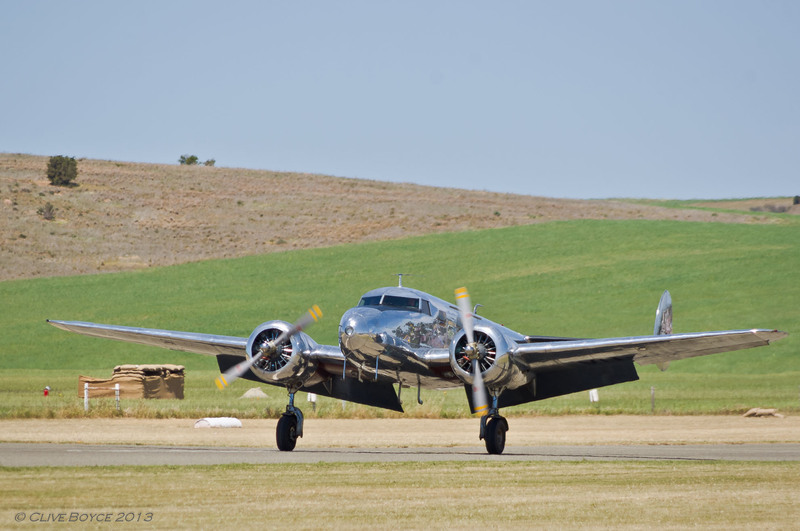 Designed for smaller airlines, the six passenger all-metal Electra first flew in 1936. The slightly larger L-10 model was known for its use by Amelia Earhart in her ill-fated around the world flight. 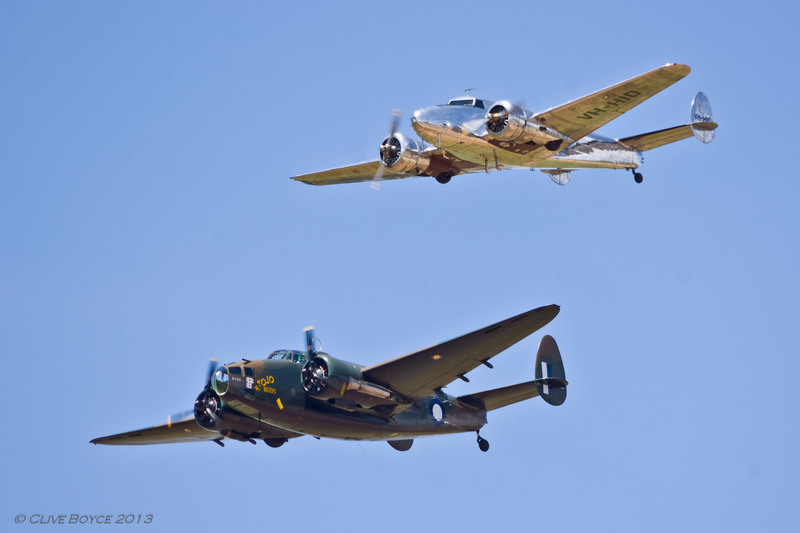 Lockheed L-12 Electra in formation with a Lockheed Hudson light bomber. The family similarity is obvious, with the Hudson based on the larger Model 14 variant of the Electra. This aircraft is the only flying Hudson in the world. She undertook wartime service with the RAAF before a long post-war civilian working life. 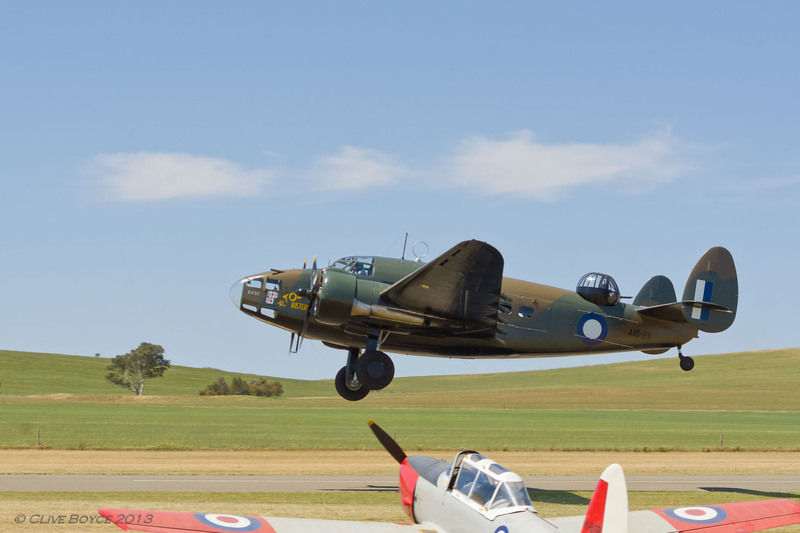 Now operated by the Temora Aviation Museum located in southern NSW. With her twin Wright Cyclone engines cranked up, the Hudson gently lifts off the Jamestown runway. Continue on to part two of this post here.